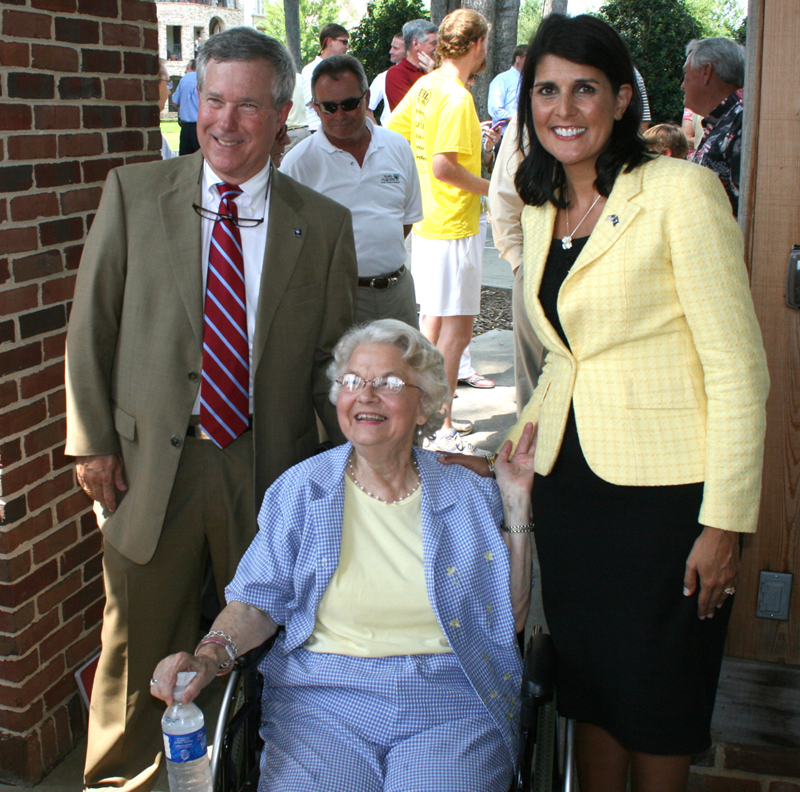 I am very fortunate to have been chosen to serve you and your family in the State House, I believe in getting to work on the issues. 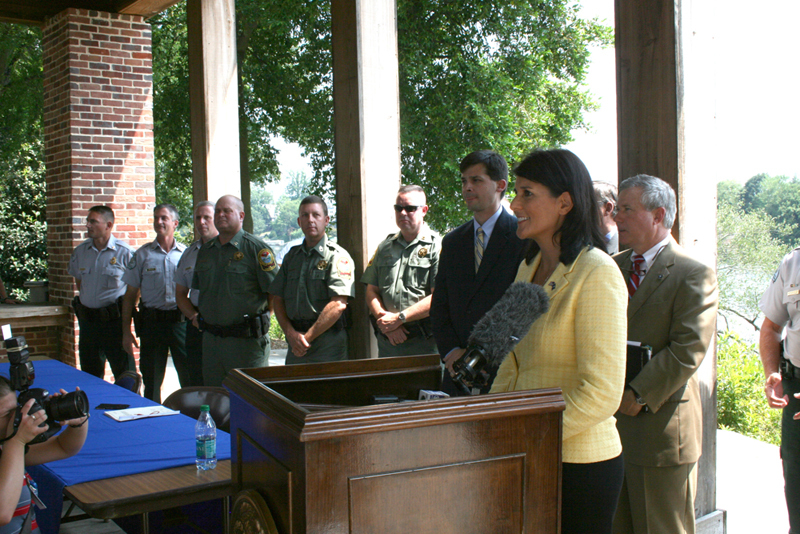 Here are a few of the bills that I have sponsored that have now become law. 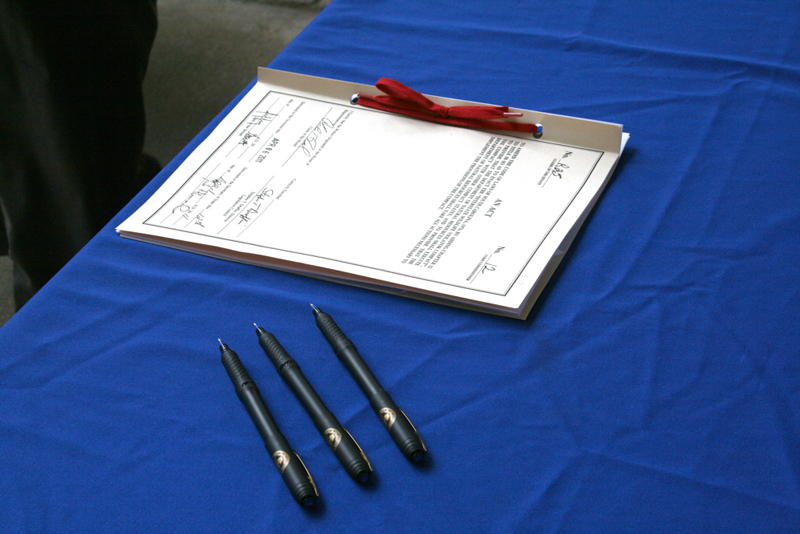 HIGHWAY WORK ZONE SAFETY BILL – H.4033 is a bill a I sponsored and it is was signed into law on 5/19/2017. 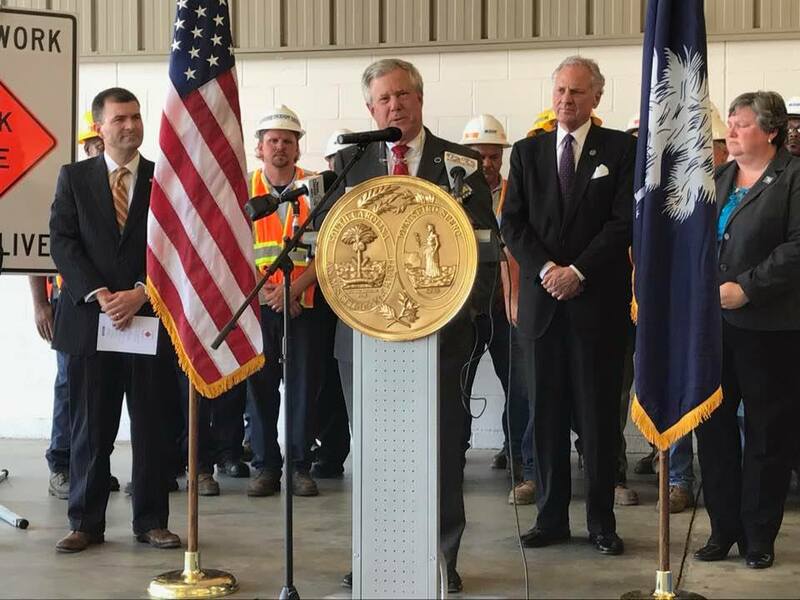 The bill was proposed by the Aiken County legislative delegation in response to hit-and-run deaths of two Aiken County SCDOT workers. 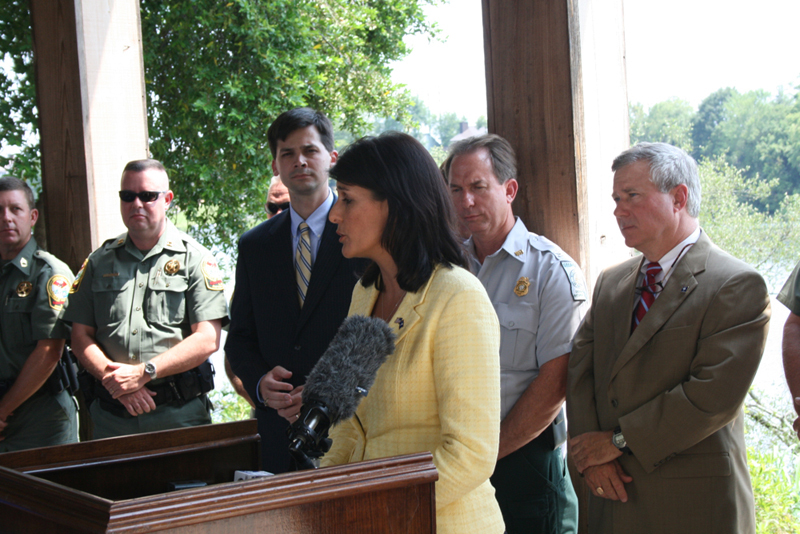 H-4033 is the Highway Work Zone Safety Bill I sponsored after the 2 SCDOT workers were killed in Aiken County. 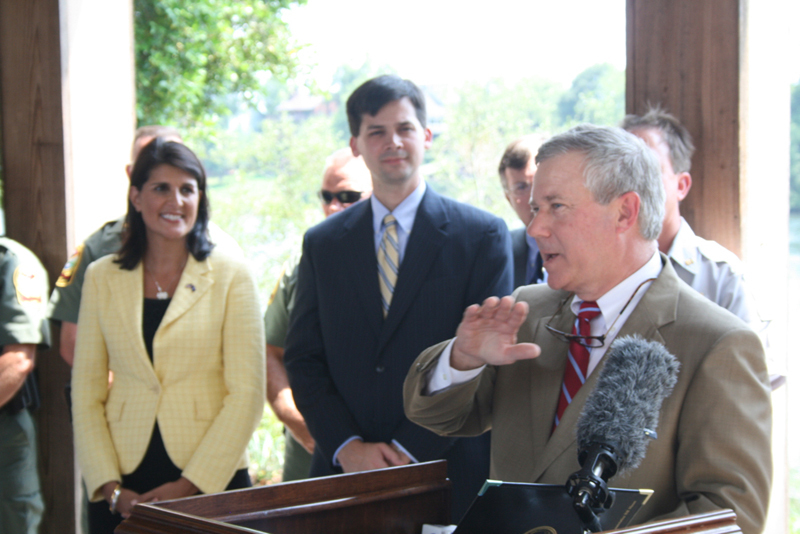 (CWP) CONCEALED WEAPONS RECIPROCITY ACT – H-3799 is the Bill I sponsored that gave South Carolina and Georgia conceal weapon reciprocity between the 2 states. 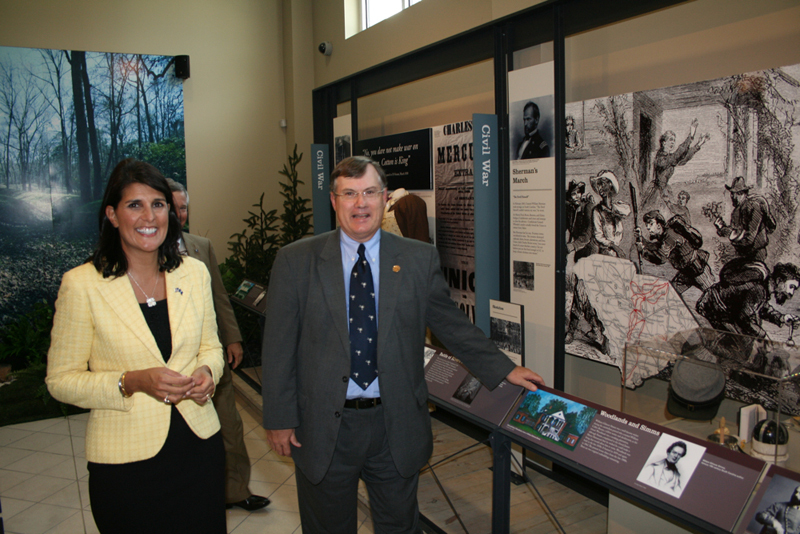 It was my number one question asked by my constituents. 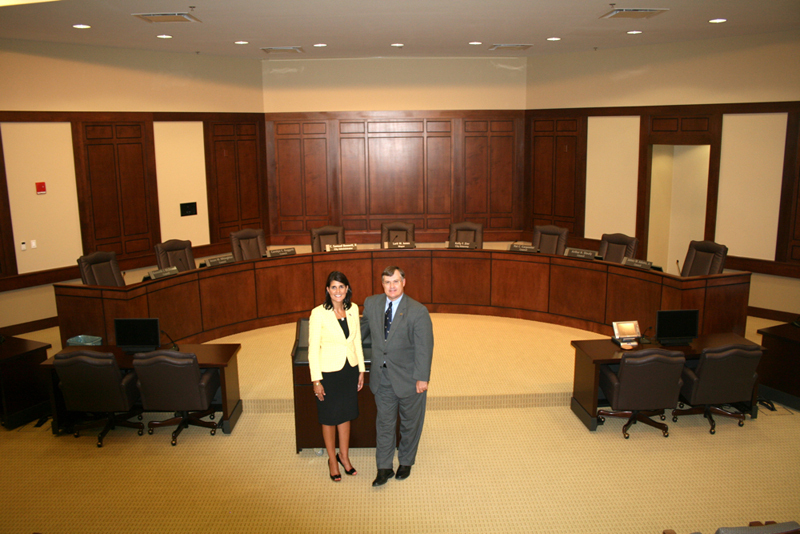 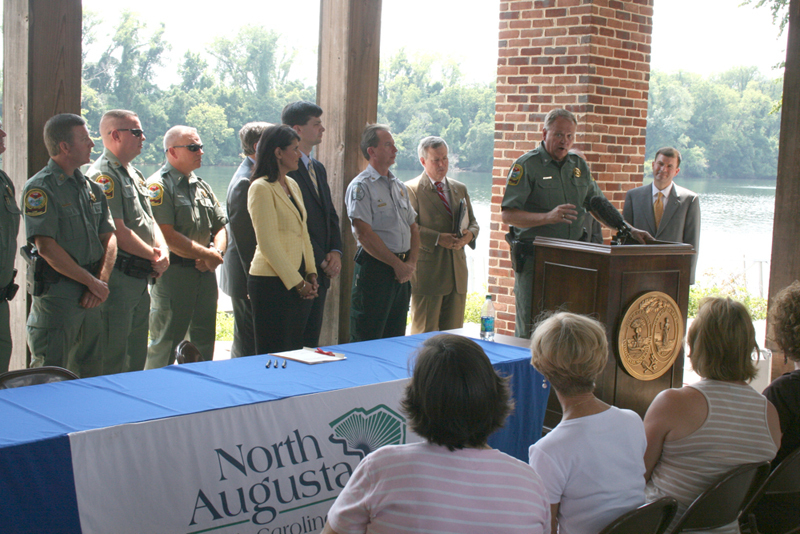 The signing ceremony was held at the City Hall in North Augusta, SC. 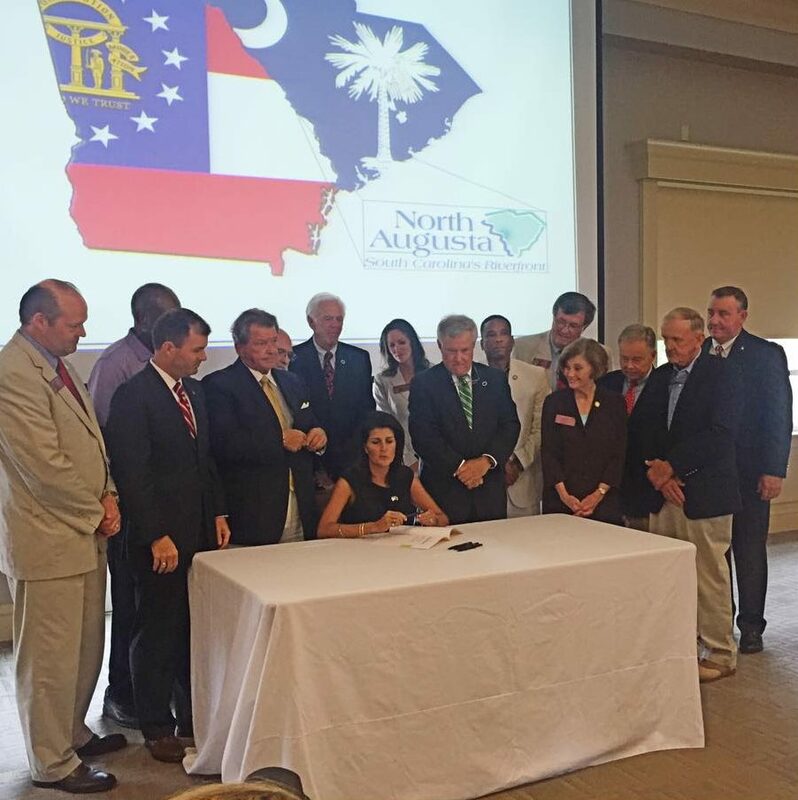 The bill allows for Georgia and North Carolina gun owners with a concealed carry permit to possess those same rights when traveling in South Carolina. 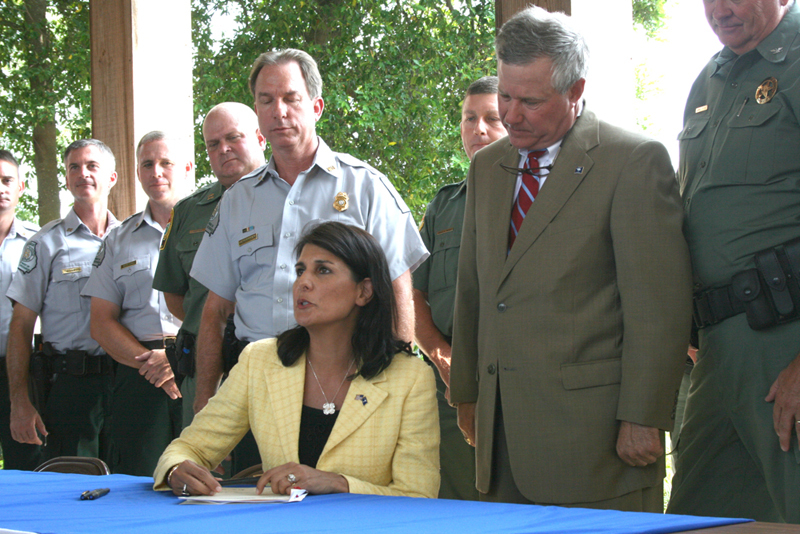 H-3799 is the Bill I sponsored that gave South Carolina and Georgia conceal weapon reciprocity between the 2 states. 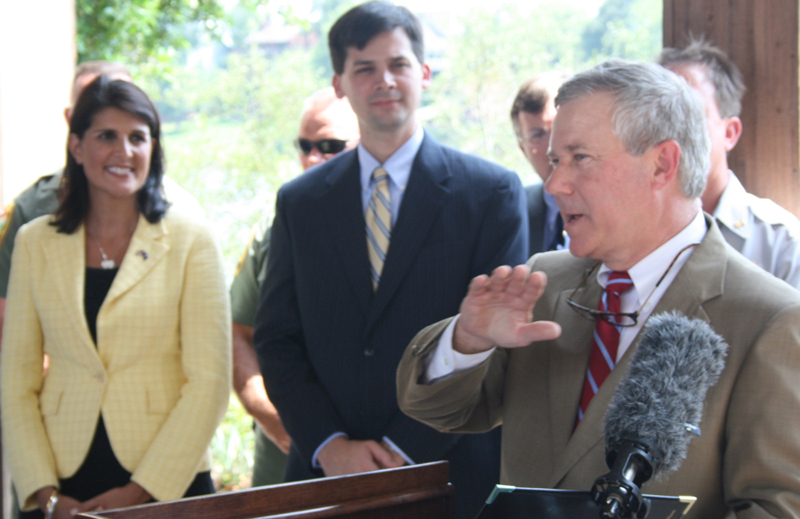 It was my number one question asked by my constituents. 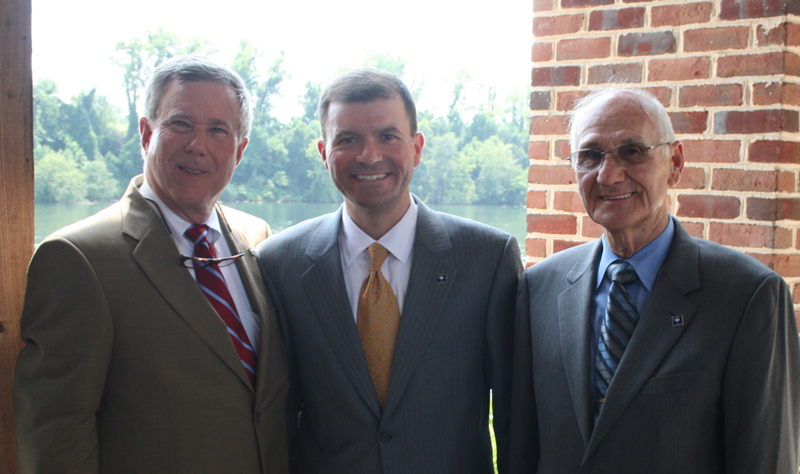 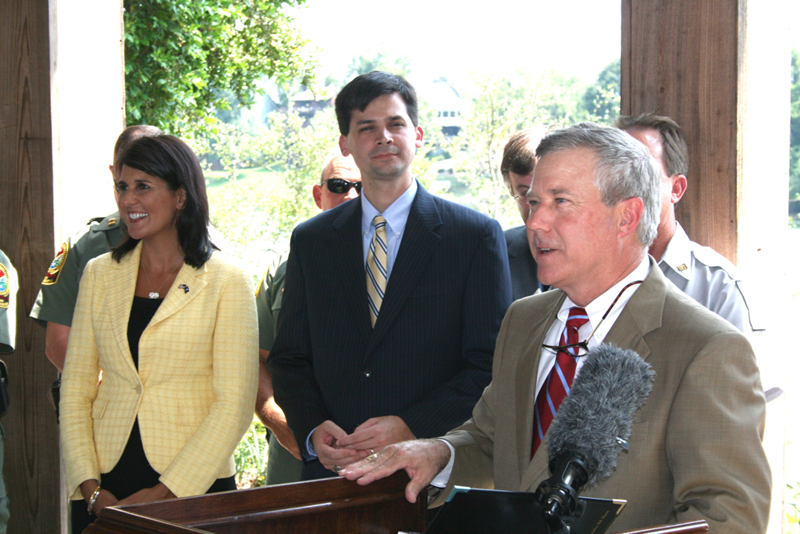 Surrounded by SC & GA legislators, Gov. 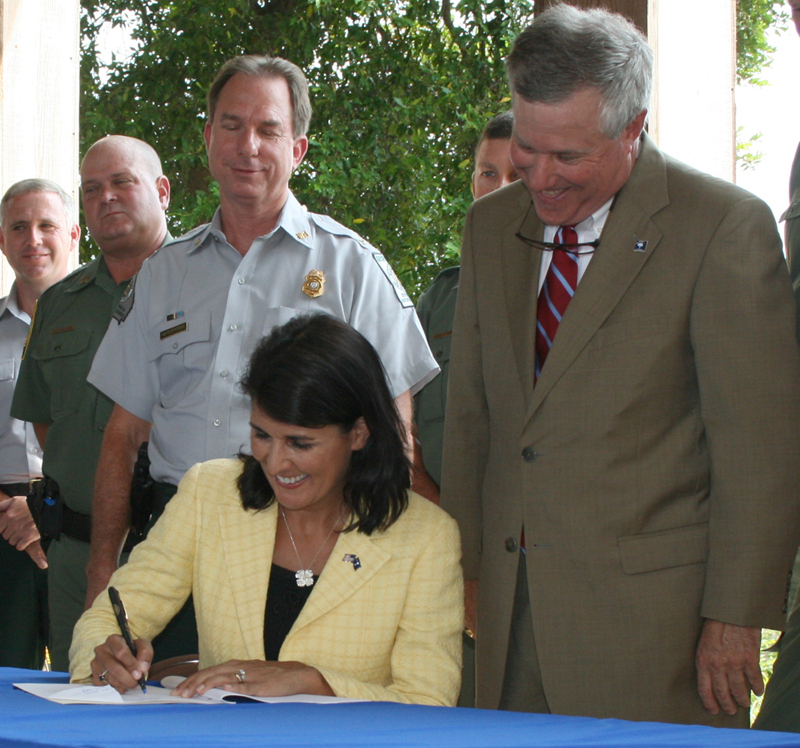 Nikki Haley just put pen to paper with the ceremonial signing of the SC-GA CWP reciprocity legislation. 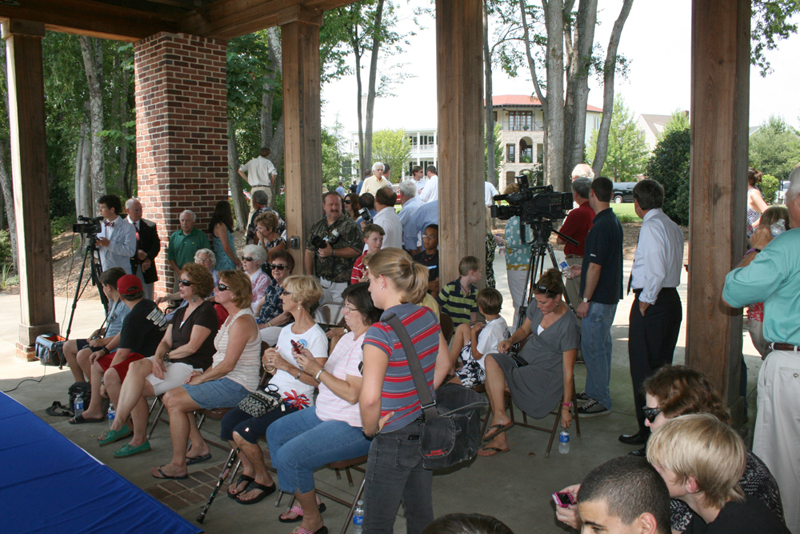 The ceremony was held at North Augusta’s City Hall. 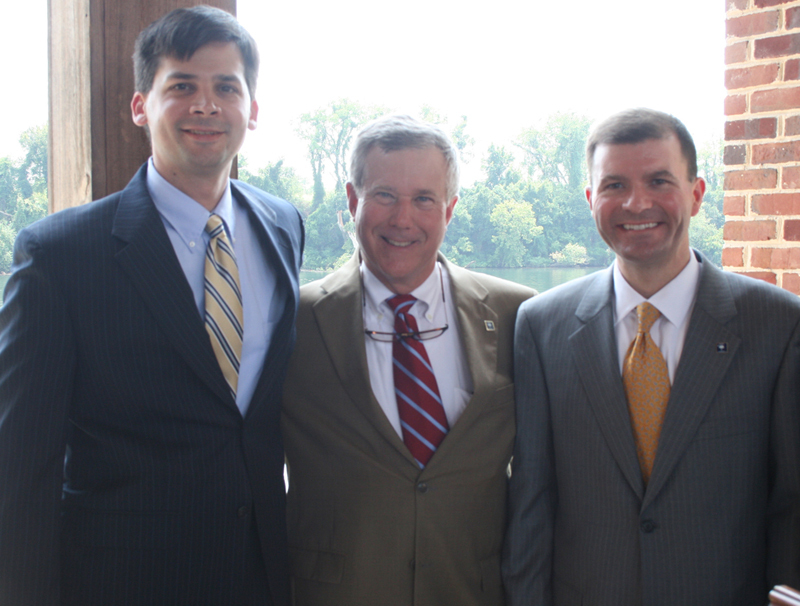 — with Tom Young, Heather Winkles Young and Bill Hixon. 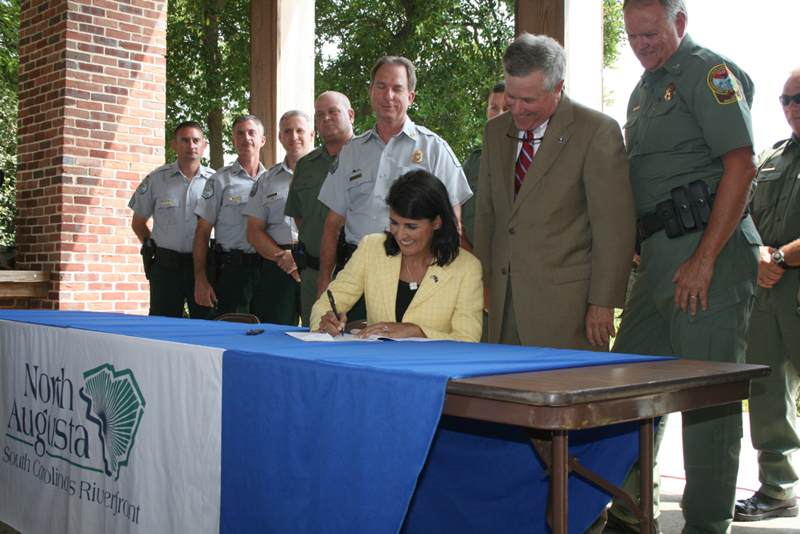 INTERSTATE WILDLIFE VIOLATOR COMPACT – H.3374 is another bill that I authored. 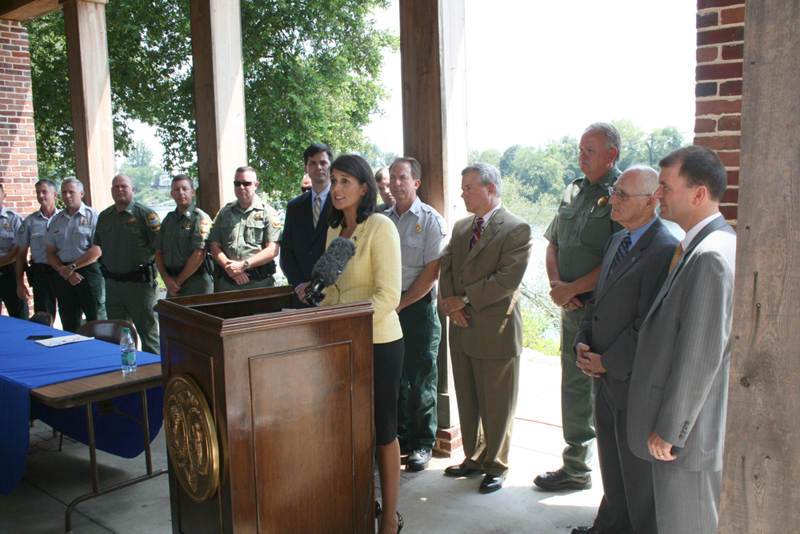 It was signed into law by Nikki Haley at a signing ceremony held at Hammonds Ferry in North Augusta. 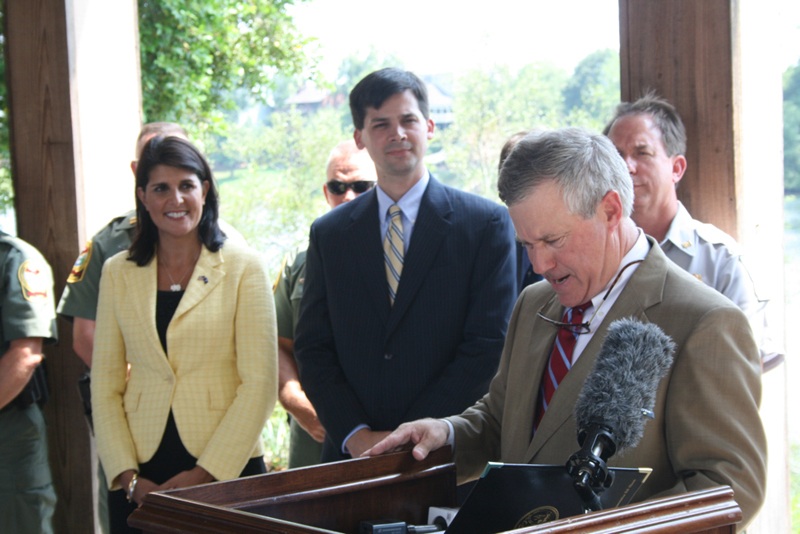 This bill was co-sponsored by over 30 colleagues on both sides of the isle. 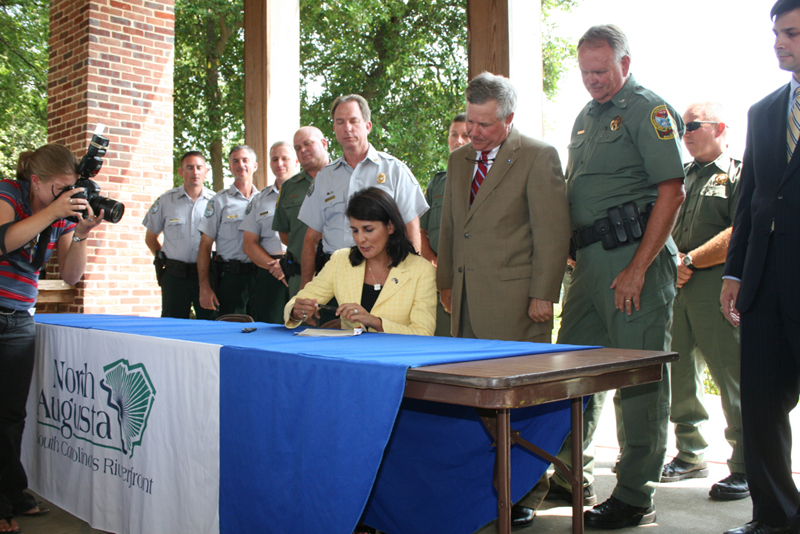 The bill calls for South Carolina to join the Interstate Wildlife Compact, which is like a drivers license compact. 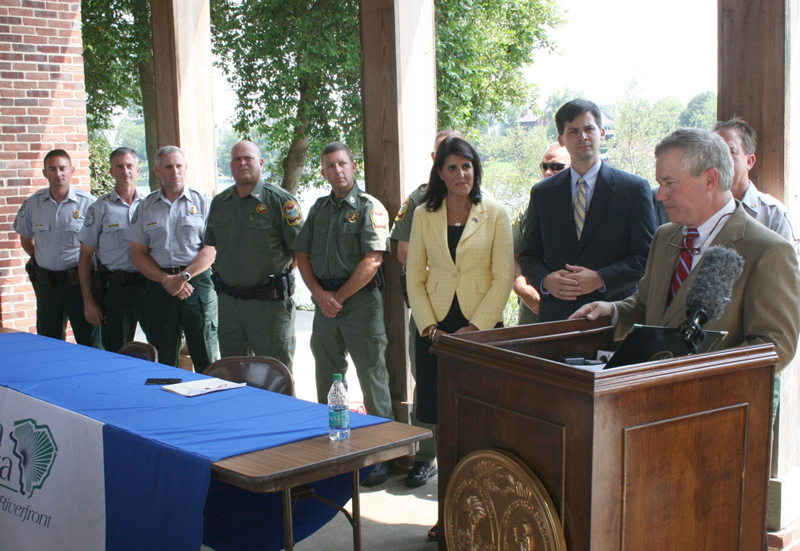 In the event you travel to another state and have a game or fishing violation, you will be treated as if you were in your home state; accept the citation from the officer and continue on your way. 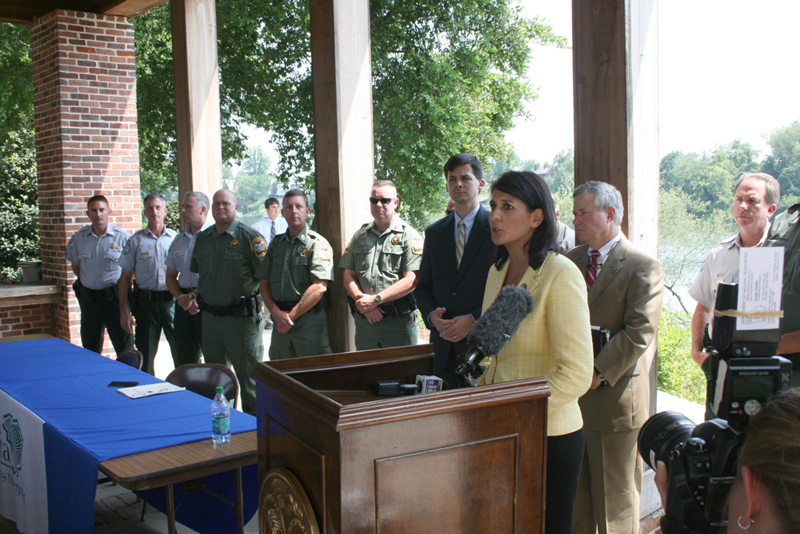 In the past, SC-DNR made a non-resident violator post bail on the spot or go to jail. 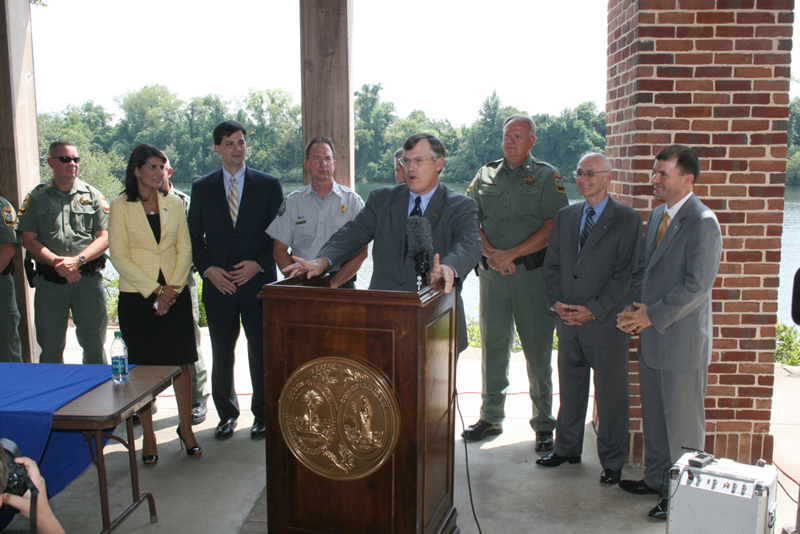 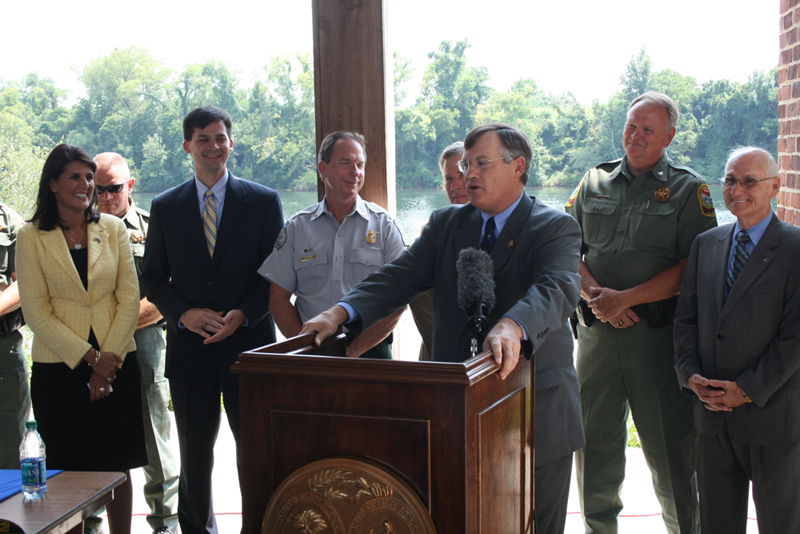 This bill saves time and money for the game wardens. 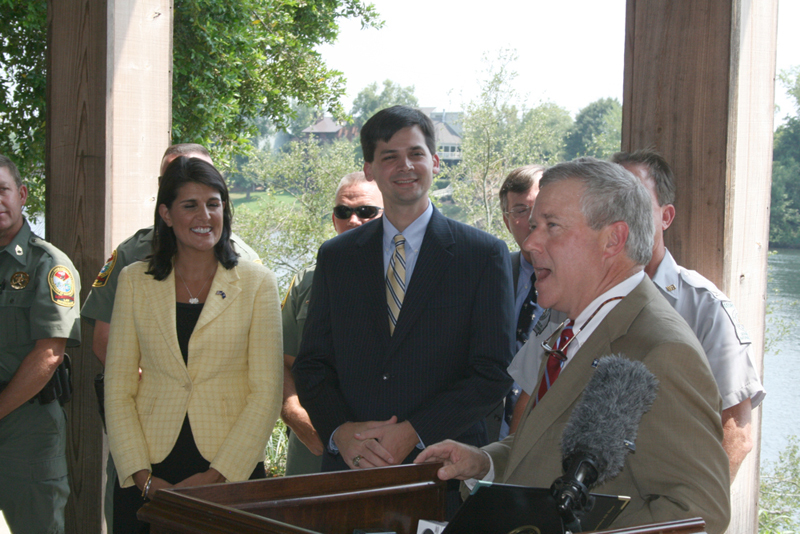 There is no cost for SC to join the Compact. 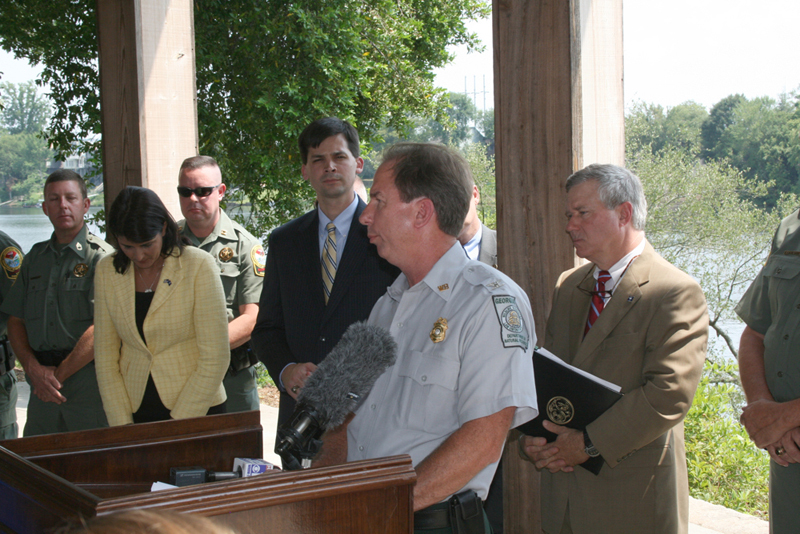 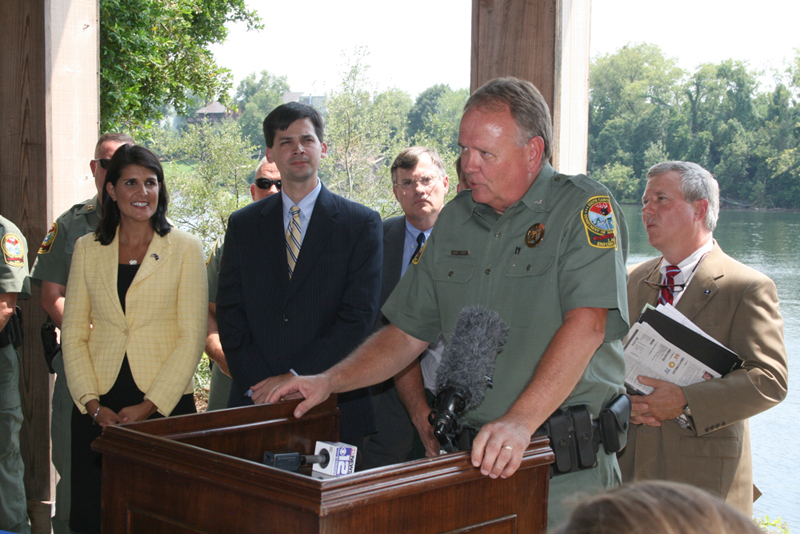 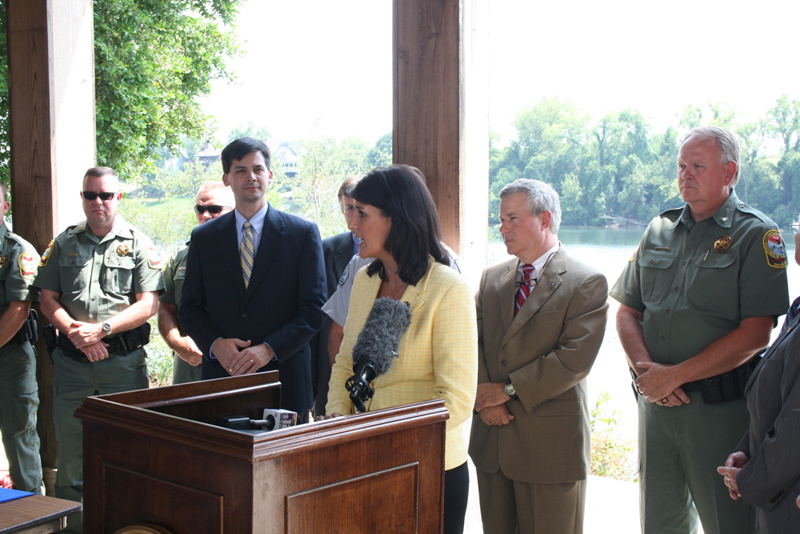 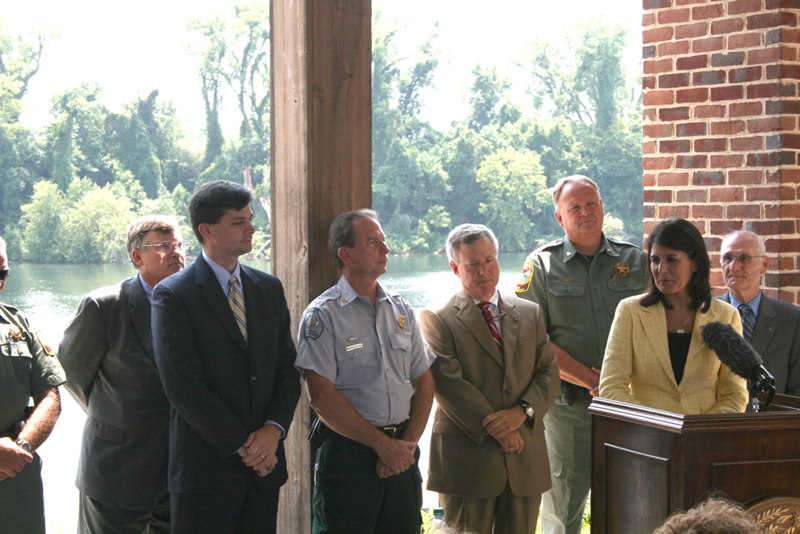 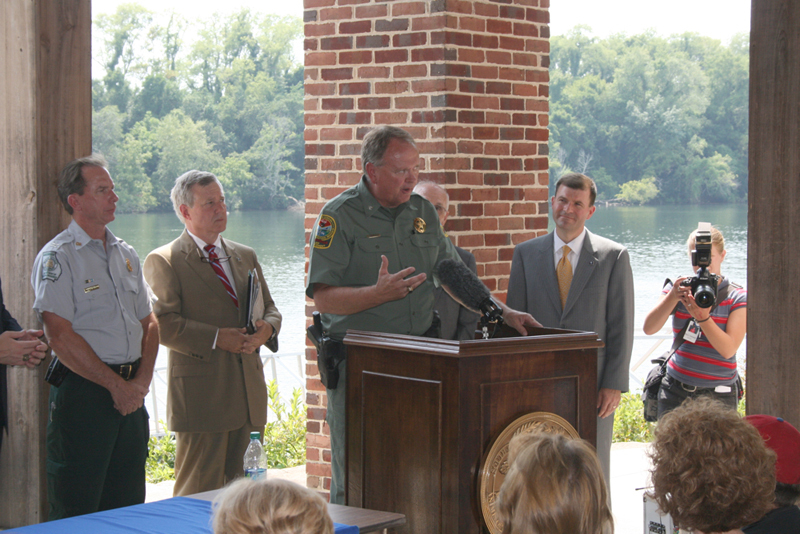 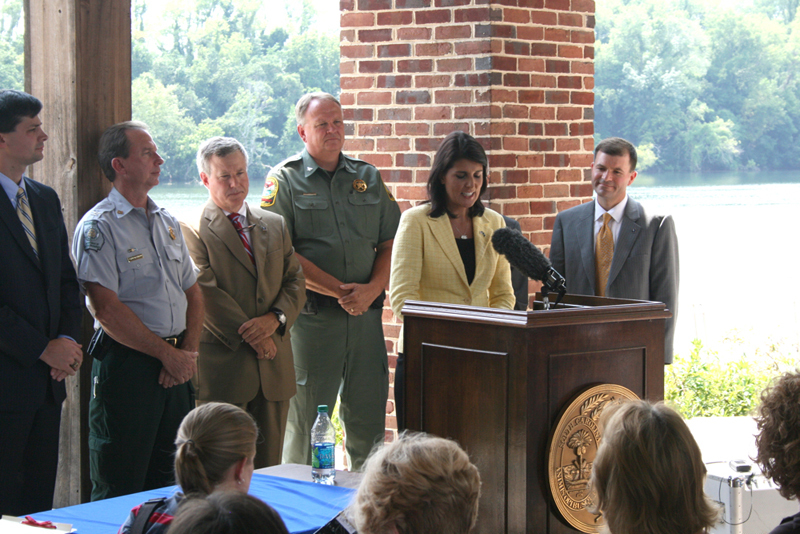 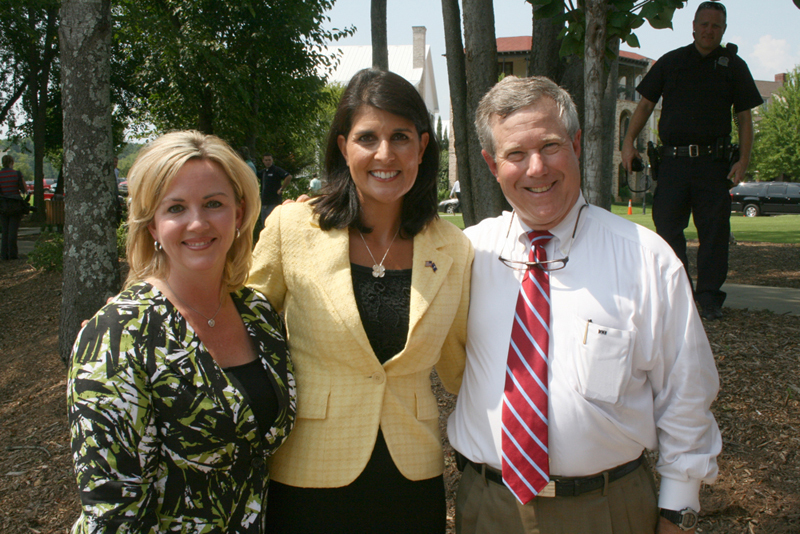 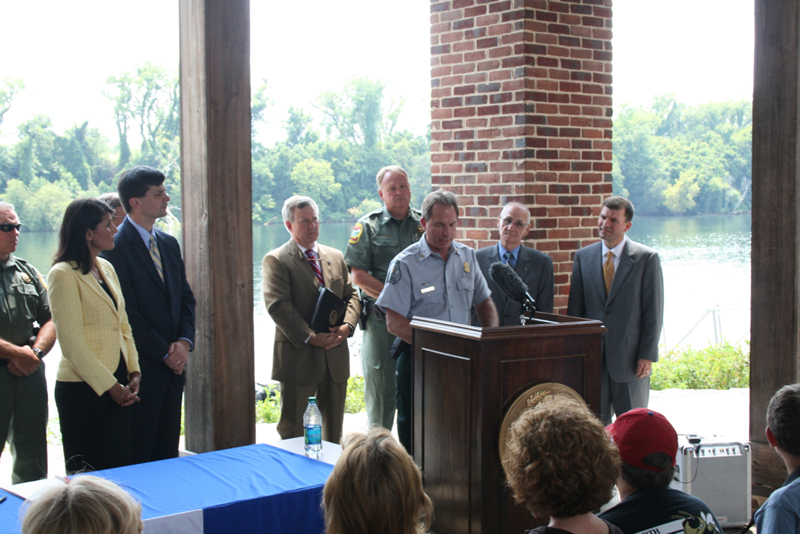 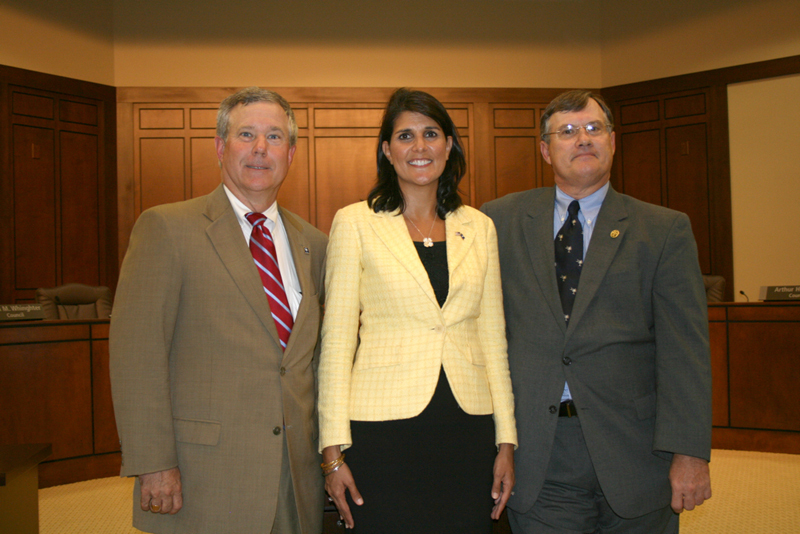 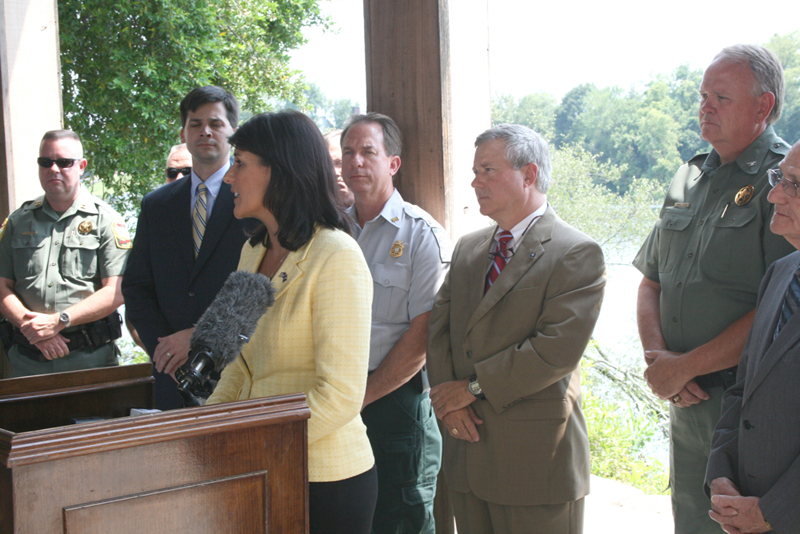 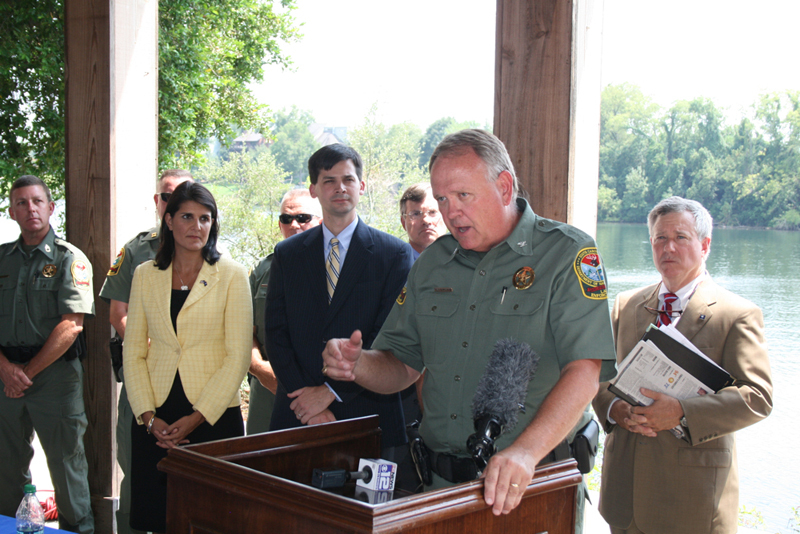 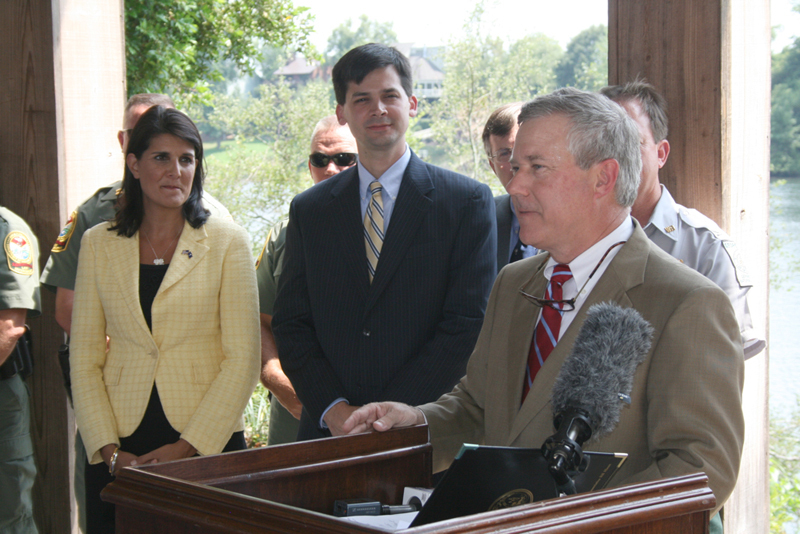 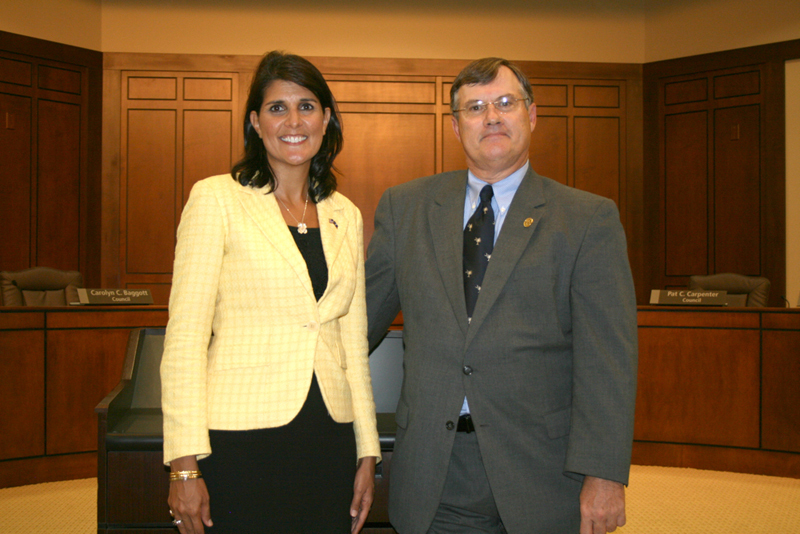 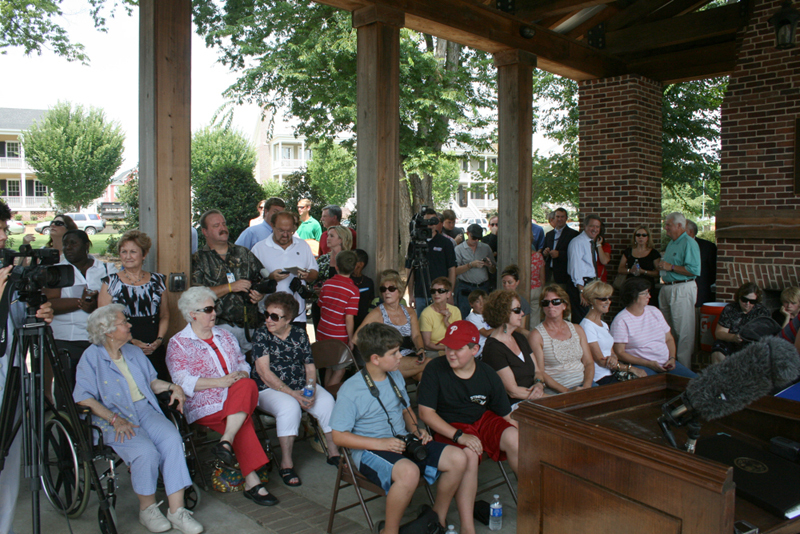 Photo Slideshow of Nikki Haley at Hammonds Ferry signing ceremony. 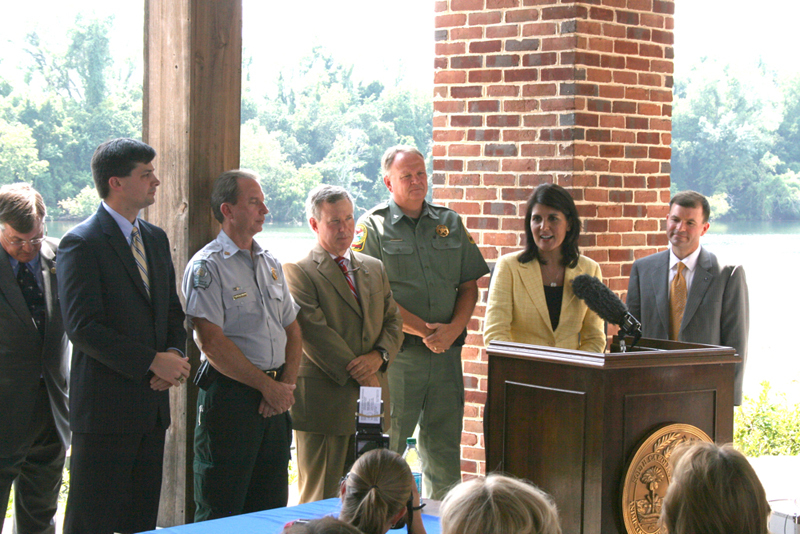 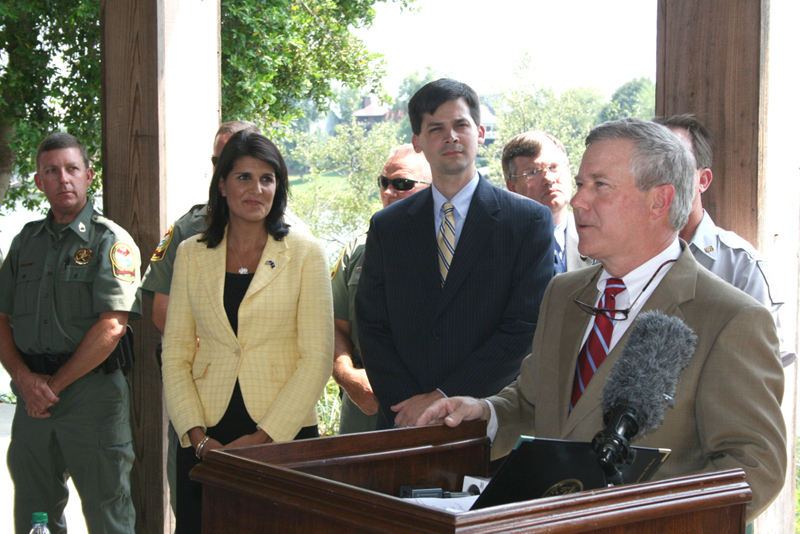 Video of Nikki Haley at Hammonds Ferry signing ceremony. 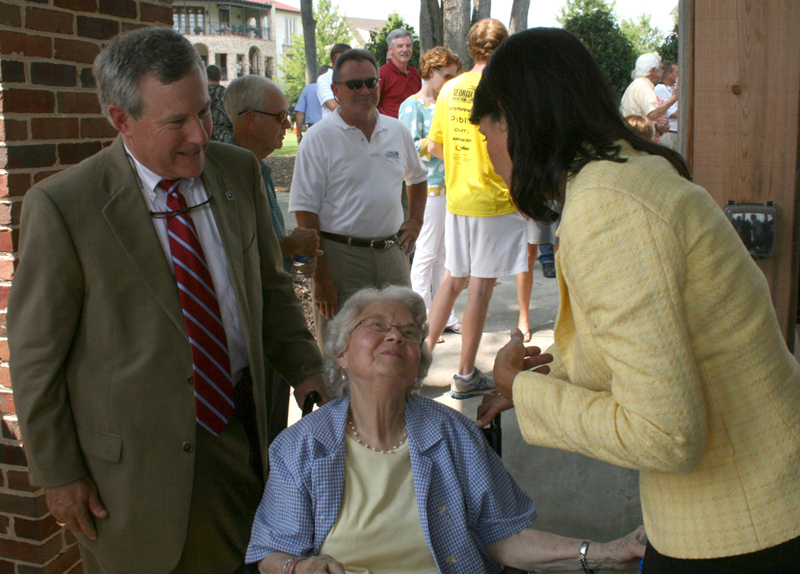 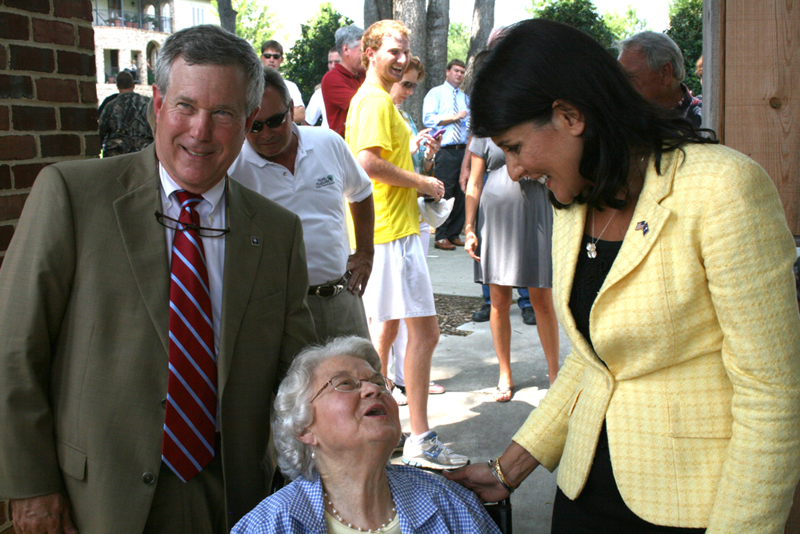 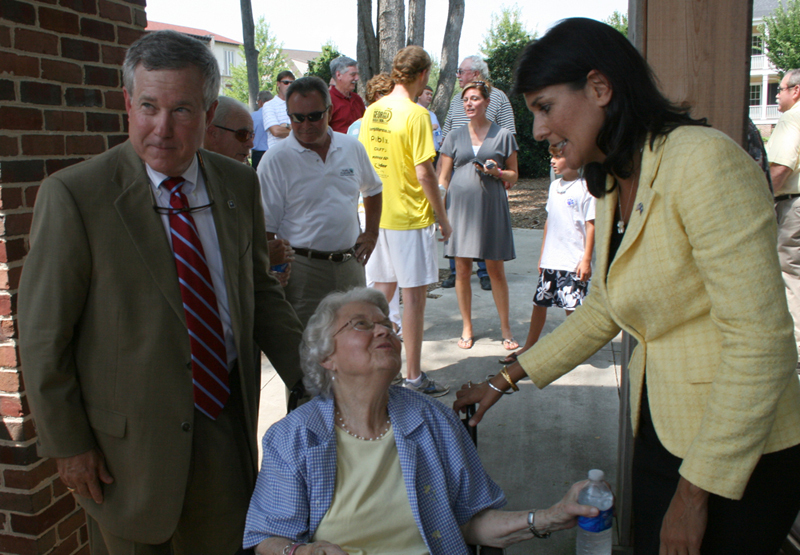 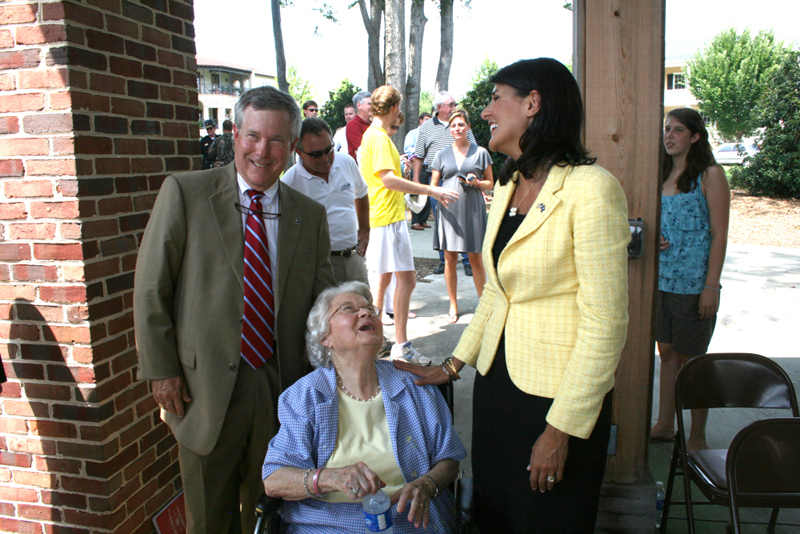 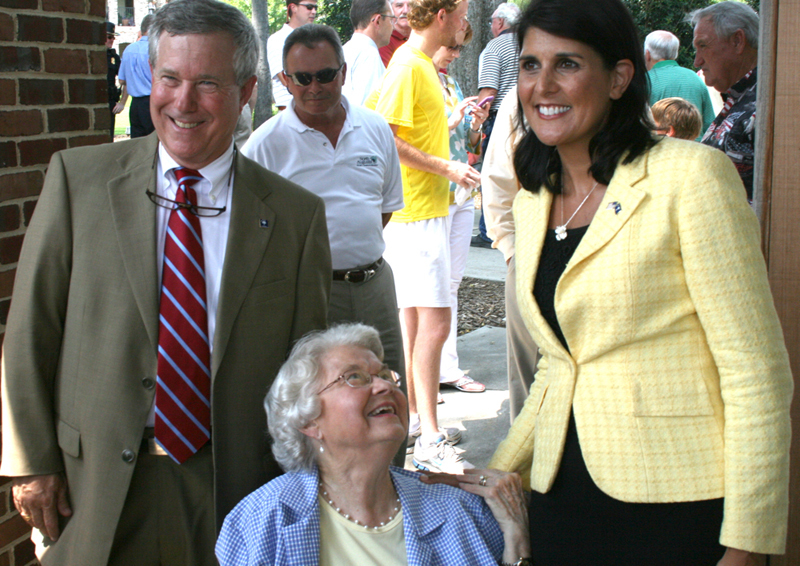 Continuing to enhance and improve services for South Carolina’s aging population.